Telus is asking a pretty penny for the Essential Phone with pricing starting at $290 on a two-year contract. That runs you about $95 per month. A cheaper $85 monthly plan leaves the phone's price at $490. The un-subsidized price is $1050, similar to the Galaxy S8. All these prices are in Canadian dollars, by the way. 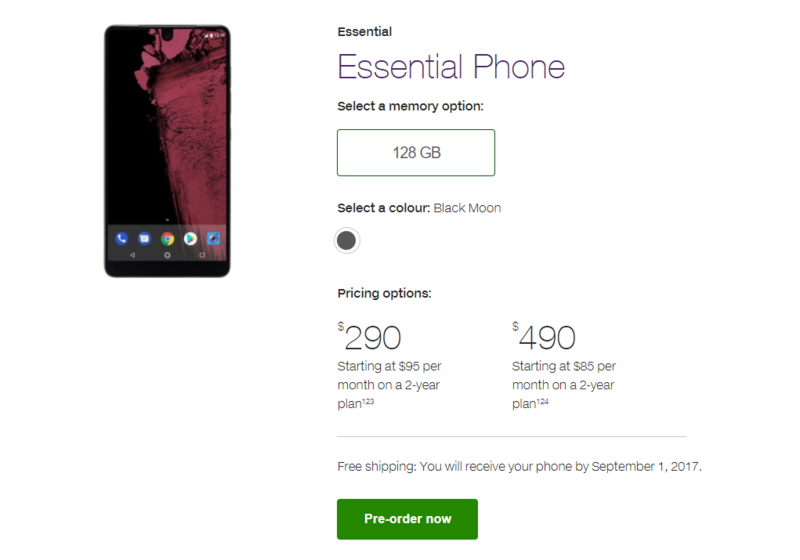 Telus has only the black model listed on the website, and the delivery date is listed as September 1, 2017. The 360-degree camera accessory will be available later for $270.